1. Read the class description thoroughly. Class descriptions let you know what to expect. They help you choose the right class for you and your baby. They also let you know where to meet and what to bring. 2. 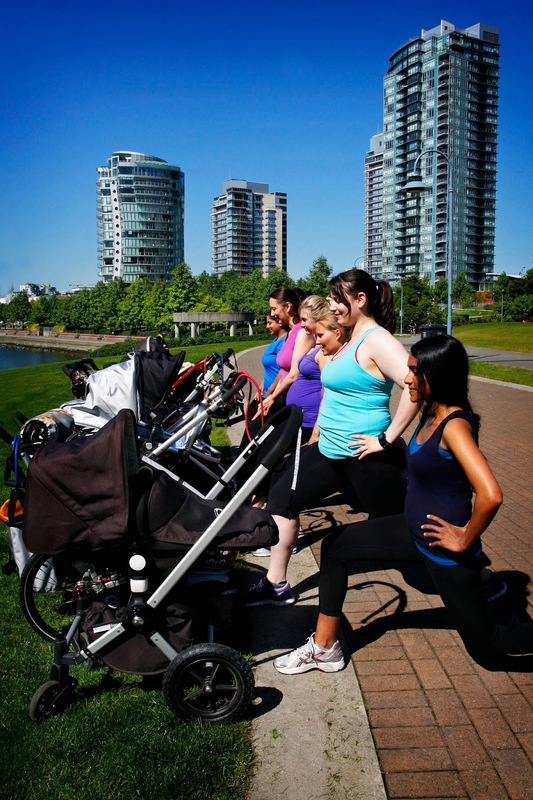 Make sure the instructor is certified in pre and postnatal fitness. She will be up to date on the latest postnatal fitness guidelines and know how to keep the babies happy. 3. If you have questions, contact the Instructor. Most instructors are moms themselves so understand that you will have questions. 4. Consider a Stroll-by. 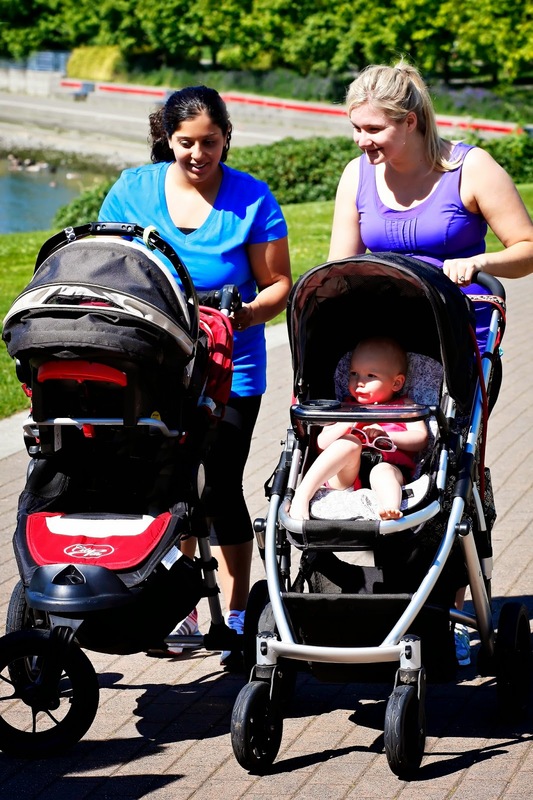 If you are feeling really unsure, go out for a walk with baby and see what the class looks like. This is really helpful if you’re a visual person. 5. Prepare Preventatively. No one knows your baby better than you do. If you anticipate baby napping during class, dress baby in a comfortable sleeper. If your baby is at a busier stage, pack all his favorite toys and snacks. 6. Pack the night before. Then you can focus on getting you and your baby ready instead of running around the house in search of keys etc. 7. Leave a little early. This will give you time for the unexpected like diaper explosions or forgetting to put on your bra (it happens). It also gives you time for a last minute feed when you arrive. 8. Speak Up. Let your instructor know if an exercise is causing you pain so she can give you an alternative. Exercise is NOT supposed to hurt. If you cannot see or hear her, let her know. 9. Incorporate your baby as much as you need to. You’ll have days when your baby needs to be held, days when he sleeps, days when he is content to watch and days in between. This is normal. 10. Try to go with the flow. If your baby begins to cry, remind yourself that you are in a safe place. Attend to your baby as you would at home. 11. If at first you don’t succeed, try again. It is entirely possible that the very first class doesn’t go well. I’ve observed that in an eight-class session, most moms will have at least one day they wish they could do over. Unfortunately, this sometimes happens at the very first class. If it does, try not to let it get you down. Try again. If the second class doesn’t go well either, you might consider a different class type, time of day or waiting a couple more weeks. As you have learned already, parenting is all about trouble shooting. 12. Go for that coffee after class. Aside from regular exercise and eating well, one of the healthiest things you can do for you and your baby is to connect with others. As these new friendships grow, so will your support network.